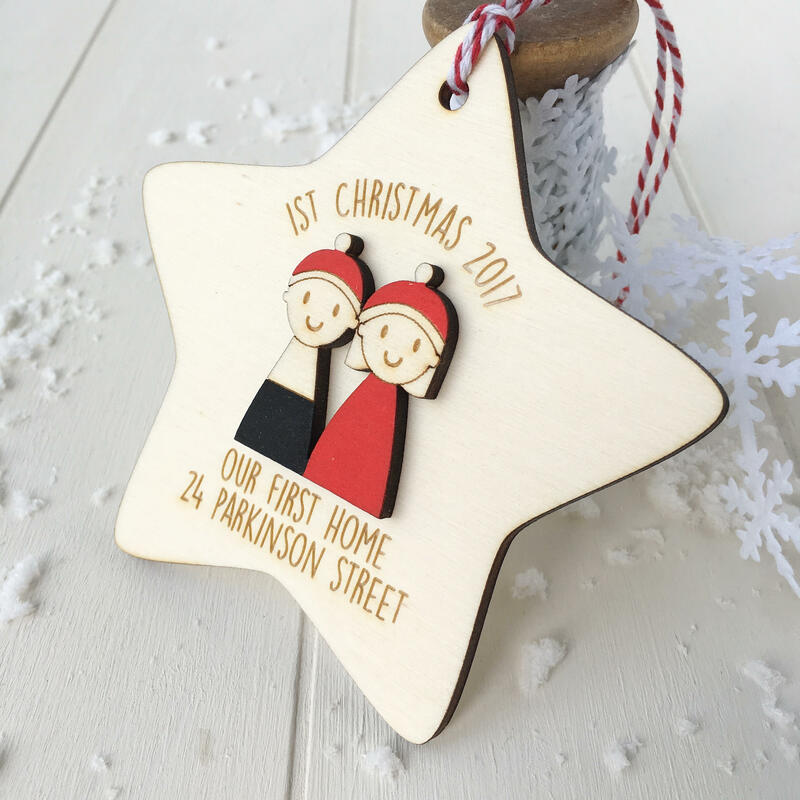 A beautiful star tree decoration for a couple's first Christmas in their first home together. 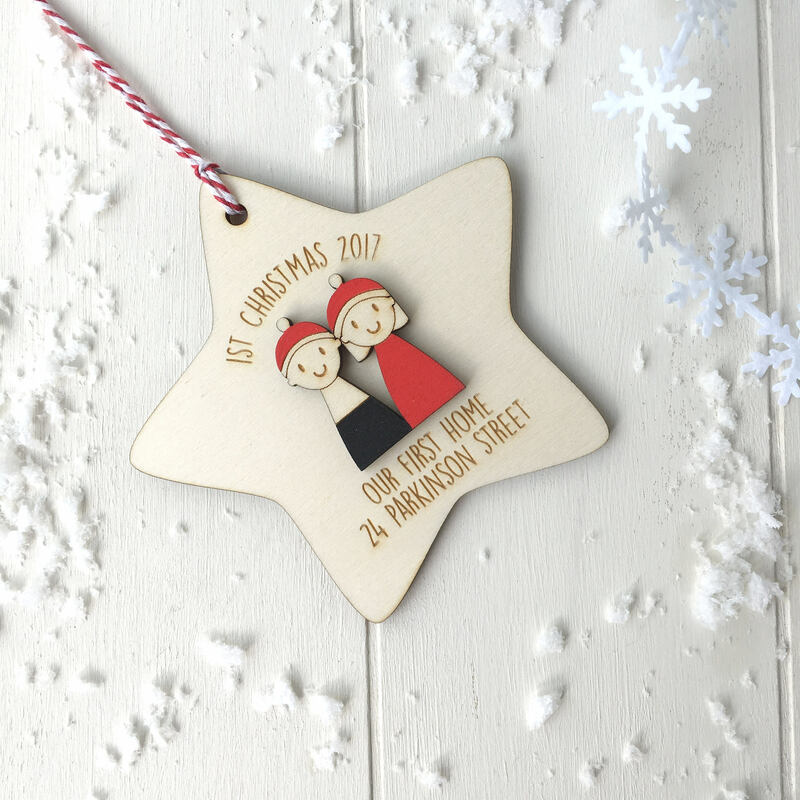 The decoration is made from lovely natural wood and features a hand painted man and lady figures. 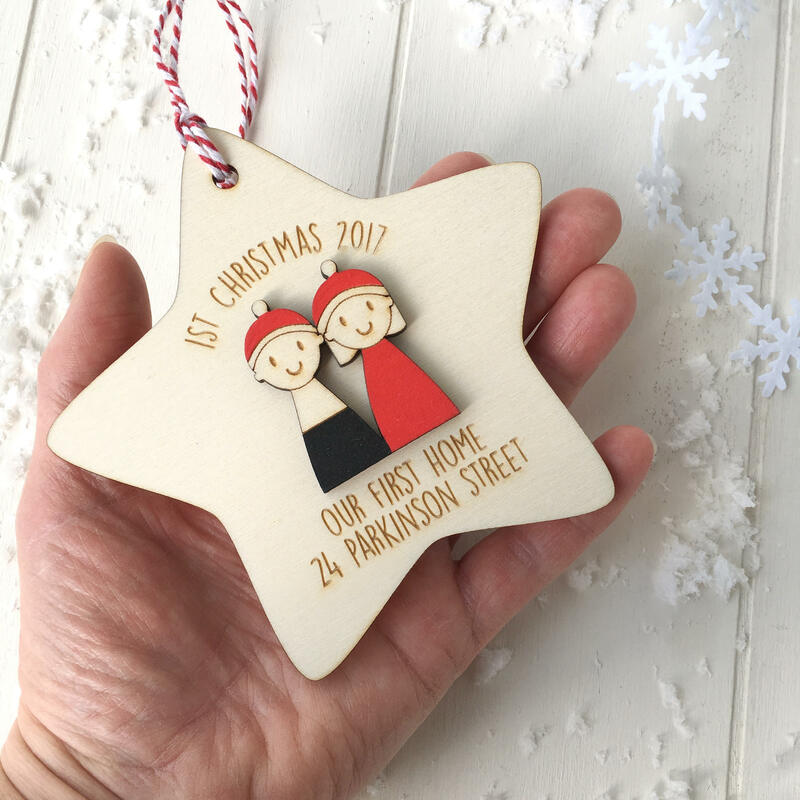 It is made from beautiful natural wood and is personalised with the year and the address of their first home together. 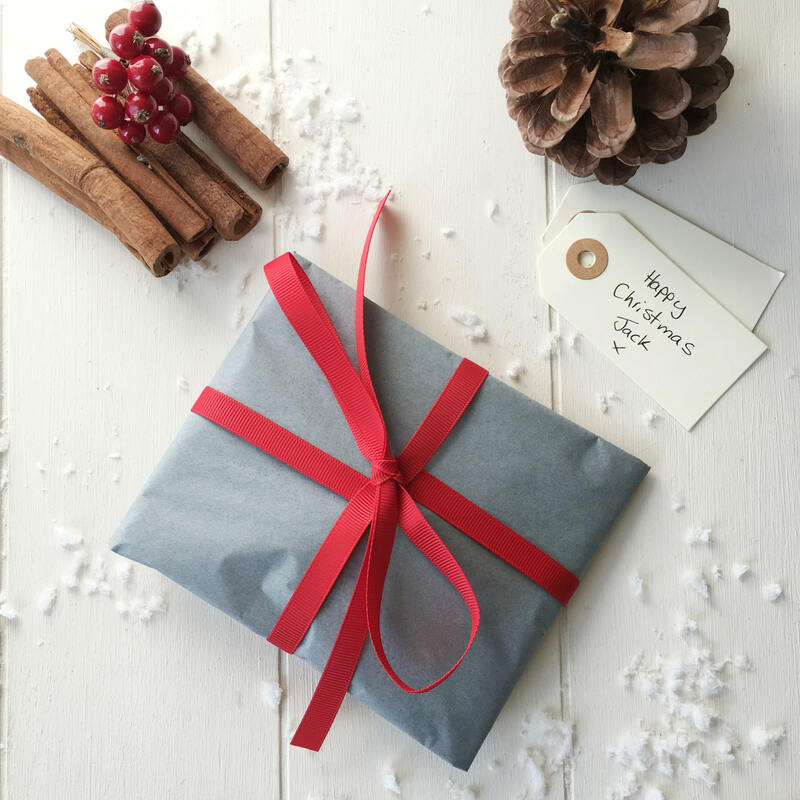 Each star is made to order and carefully finished with red and white twine. To place and order please list in "Notes to seller" the following details during checkout - first line of address eg 10 long Street and the year. Absolutely lovely gift for Xmas and a bit different, would defiantly buy other items in the future.